Canada Day is of course for celebrating our country and all of its greatness! Yes, we have the beautiful mountains, rivers, lakes, oceans, and forests... BUT we are also home to some extraordinary people who create and found unique and amazing brands and products! For an independent company in Vancouver, Kiss & Makeup is very proud to acknowledge all that Canada has to offer -- perfectly, now is the perfect time to spotlight our favourite Canadian local brands! Candles, soaps, bath & more made with pure and nutrient dense ingredients! 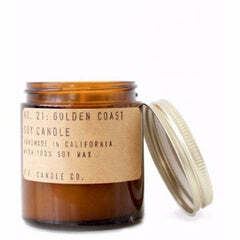 West Coast made, bio-dynamic, cruelty free, sustainable and conscious. Garments inspired by typography and pop culture, with a sense of humour! Printed locally in North Vancouver, by hand -- never mass produced. A fun and playful clothing line based in Vancouver that started with one original sweatshirt that expanded to a full collection of fun sayings on crew necks, sweatshirts and accessories! The highest quality and purest source of collagen available for skin, hair, nails, and joints! Health Canada approved, this premium select hydrolyzed fish scale collagen offers superior results! The original West Coast round towel with beautiful designs and patterns -- these unique towels create a trendy statement with everyday functionality, durability and versatility. 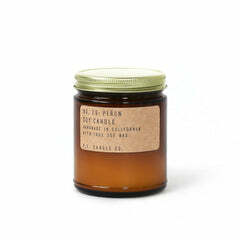 Clean burning candles made from premium soy wax, cotton wicks and perfume-grade fragrance oils. Vancouver made, hand-poured in small batches and personally signed and numbered by a single artisan. Highly effective moisturizing creams, made in Vancouver by Harvard trained research scientist and pharmacologist. 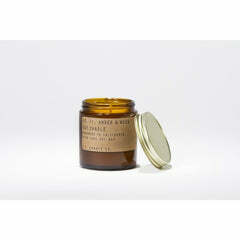 Provide dramatic results especially for those with dry, chapped, itchy skin and eczema-prone skin. From the west coast, these powerful anti-aging products use science and organics to create the purest and most active formulations to repair and reverse the signs of aging! Basically, the most effective natural deodorant ever made! Uses only clean, wholesome, ethical ingredients -- No nasty aluminum zirconium, aluminum chlorohydrate, parabens, triclosan, or propylene glycol! Crafted in Calgary. Founder Rose-Marie Swift is a West Vancouver gal who created an all natural, all organic makeup line with ingredients that actually improve your skin while making you look gorgeous! Founder Sasha Plavisc, a Vancouverite, created a glamorous and beautifully branded beauty line, completely transcending stereotypes of "natural" makeup. To celebrate Canada Day we have an exclusive one day only 10% off all orders over $75. To redeem enter OHCANADA at check out! Now grab a glass of wine and let's celebrate (eh)! HAPPY CANADA DAY TO ALL!